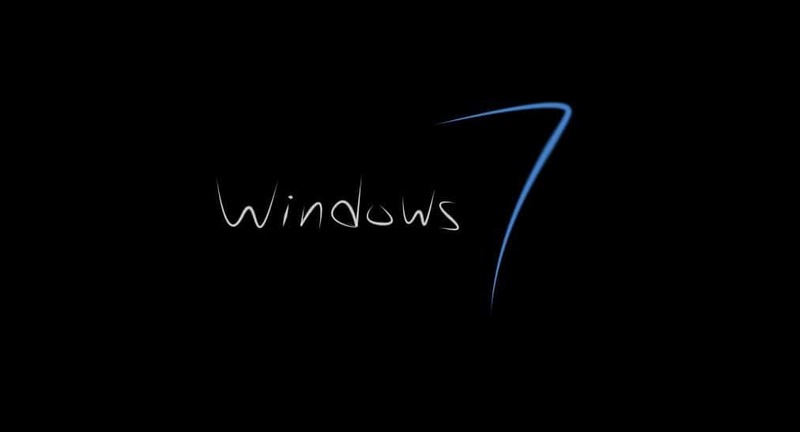 More than 8 years have passed after Windows 7 was introduced and it’s still the most popular Windows out there. However, the sudden emergence of the large-scale ransomware pestilence, showed us some undeniable security loopholes in Microsoft’s fan favorite. Basically, a lot of users put aside the fact that the outdated Security Essentials can deal with an abundance of the ever-growing virus threat. That’s exactly where the third-party antivirus is, maybe not the subtlest, but certainly the preferred solution. Now, most professional users or corporations will turn to paid security solutions in order to protect every software inch of their network and individual PCs. However, a standard, home user who roams freely through the interweb isn’t in a particular urge to spend his or her hard-earned money on an antivirus. That’s where the free solutions come into play. And that’s why we prepared a list of the, in our humble opinion, best antivirus solutions for Windows 7 64-bit version. So, if you’re looking for the best antivirus to protect your PC and add some bonus features to your daily workflow, too, make sure to check out the list below. We strongly suggest you to check out this list and install the antivirus that best suits your needs before falling prey to malware. Also, we recommend trying out this tool that will remove viruses and repair the damage done by them. 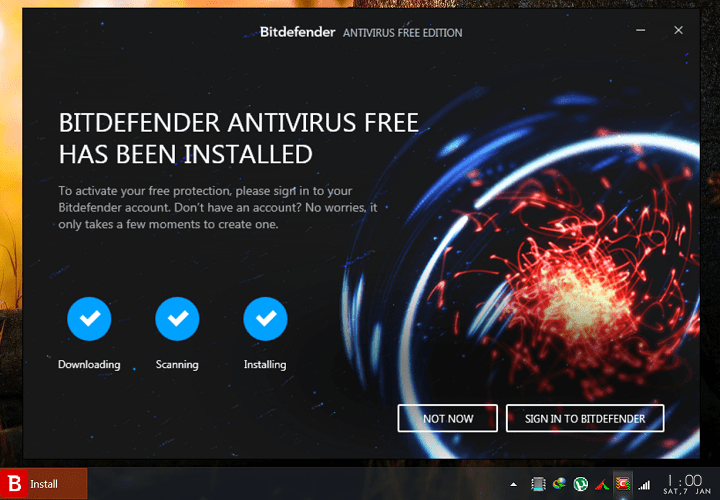 While we’re at essentials, we can’t overlook the Bitdefender Antivirus Free Edition which is, arguably, the best free antivirus you can get for Windows 7. But, there’s a catch: the amazing virus detection and protection features are all you’ll get. No additional features, no multi-structural protection, password managers, or Wi-Fi advisors. Most of the antivirus software nowadays evolved into multi-functional hubs for everything even remotely related to PC security. Not the free version of Bitdefender. What you’ll get with this tool are the ultimate anti-malware and anti-phishing protection traits. For other built-in tools and bonus features, you’ll need to purchase the premium version. Basically, premium protection for free with top results from various independent testing labs in regards to malware detection and antiphishing protection. And that’s where it excels the most. If you’re accustomed to uncluttered antivirus solutions, with special emphasis on simplicity and real-time protection from malware and fraudulent sites, look no further than Bitdefender‘s Free Edition. Highest ratings in various security categories speak for themselves. And did we mention it’s completely free? Follow this link to get the Bitdefender Antivirus Free Edition for free. 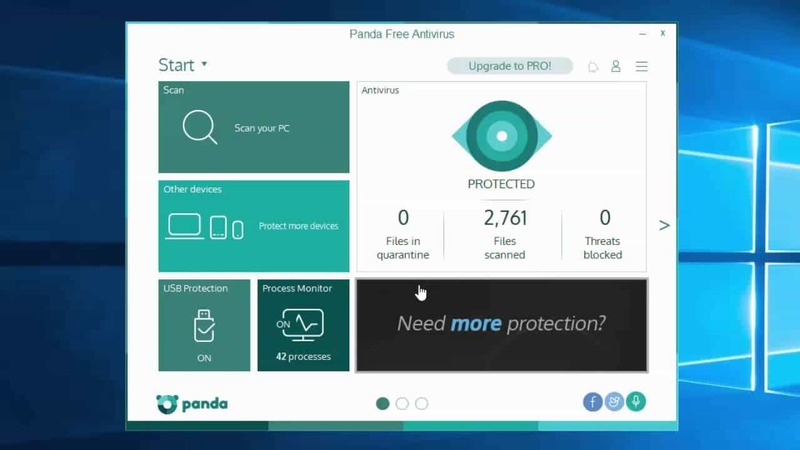 Panda Internet Protection also has a free version of its antivirus. Once known as Panda Free Antivirus, it can be found in the free version on the official website but it has limited features for advanced users. If you want to access all of its potentials – you’ll have to upgrade up to full version. This version has special algorithms and can filter urls and web surfing. You will also have an integrated USB protection provided for your USB devices. Also, you can use it on all versions of Windows due to its latest total optimization. You will dispose of a new, lightweight interface which does not overload your PC. Because of its latest redesign, it is intuitive and quick. The trial version of BullGuard scans not only your PC but also your email client software keeping it clean from spam. Using the ‘behavioral detection’ tool. It is a tool which detects the potential viruses and malware before they become part of the antivirus signature database. The latest version of BullGuard comes also with a game booster incorporated. If you are a gamer, it will be very helpful for you. 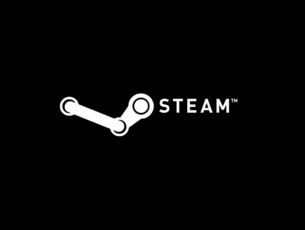 It will focus your computer resources on the game and will optimize network traffic. Finally, the last but not least spot on our list is reserved for AVG. Ages-old AVG got redesigned lately and now, besides the exquisite protection features, Windows 7 users can experience better-suited looks, as well. Various security experts place AVG just below Bitdefender in regards to antimalware protection. It slightly fails in the anti-phishing department, but that’s just one minor flaw we can single out. Anti-malware protection is as smart as they come. 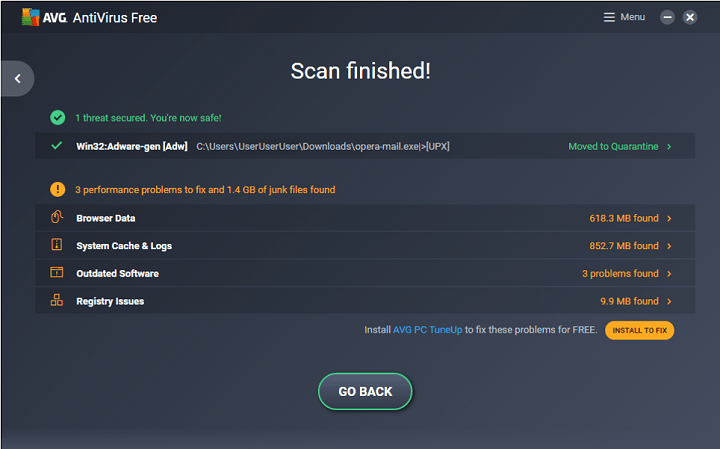 AVG tracks unknown and suspicious applications and prevents them from running until it’s certain that they won’t harm your PC in any way, and then and just then, enables them to start. Besides the great depth of virus base and ferocious dealing with infections, AVG, as well as the majority of modern-day antivirus solutions, comes with a lot of auxiliary tools. The first that crosses our mind is Web TuneUp utility that works as an add-on for basically all browsers. With Web TuneUp, you can browse safely and with your privacy unscathed. The multitude of protective features indeed require some tweaking, but with the redesigned interface, the majority of newcomers will have an easy time. Finally, the differences between the paid and free version are negligible, so you’ll have the premium protective features completely free. And don’t trust our words on that. Give it a try by following this link. A lot of security experts either advise to keep your hands off third-party solutions or not to use them as a real-time protection services. Especially on Windows 10. However, security isn’t something you should threat lightly and we’re talking about Windows 7. So, if you’re not keen to use an active software solution but rather a specialized malware and anti – AdWare tool, consider Malwarebytes tools as the best suited for the job. Malwarebytes Anti-Malware and AdWare Cleaner are 2 different programs that thrive in different categories. The first is, in its free form, a simple but nonetheless effective tool with a single purpose: locating and exterminating malware infections. You’ll just need to download it and run it manually since the free version lacks real-time protection. 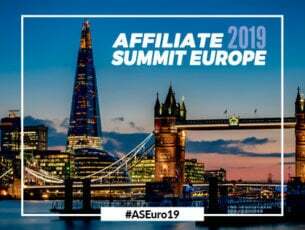 The detection rates are probably the best in the class and, taking into consideration the precision of the paid version, this free-of-charge program is not far behind. The second program addresses the most popular contemporary malware and that’s AdWare. AdWare isn’t only about annoying ads that bombard you, but also the following viruses that come with it and bring much more problems. Now, even though most users pay close attention while installing programs or blocking annoying pop-ups, the unwanted software will find its place on your PC. That’s where the AdWare Cleaner comes into play. Just run it and it will perform a deep scan and eliminate all AdWare-related programs and browser add-ons. 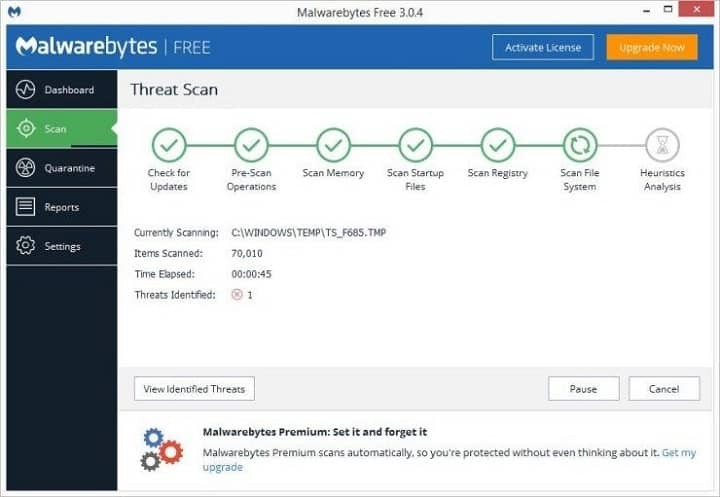 You can find the Malwarebytes Anti-malware tool by following this link. And for the Malwarebytes AdWare Cleaner, navigate to this web address. For maximum protection, we recommend the paid version which includes more features. There’s only so many traits one can use to create a distinction between the software so similar. All programs we enlisted are basically the variations of one well-acknowledged pattern. And, most importantly, all support Windows 7 with 64-bit architecture. However, if we’re to choose one antivirus over others, our first pick must be the Avast Free Antivirus solution. The 3 words to describe Avast‘s free edition is: simple, compact, and useful. Most antivirus developers create too much of a gap between the paid and free versions. That’s not the case with the Avast Free Antivirus. Yes, you’ll lack some of the useful premium features, but the essentials are still there: real-time protection, web-based protection, and deep and thorough scanning and detection capabilities. Wi-Fi Inspector to keep your network safe. Rescue Disk feature for restoring the system. 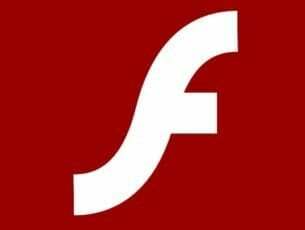 Software Updater that looks for outdated programs installed on your PC. Browser Add-on integration for security while you’re surfing the interweb. SafePrice add-on for the best prices while shopping online. Protection-wise, it’s virus base is enormous and the detection rates are slightly above average. When it comes to drawbacks (and every product has those, too), the Avast‘s CPU activity can sometimes be an issue. Luckily, you can restrain that by enabling the Game Mode within the Avast Control Panel. 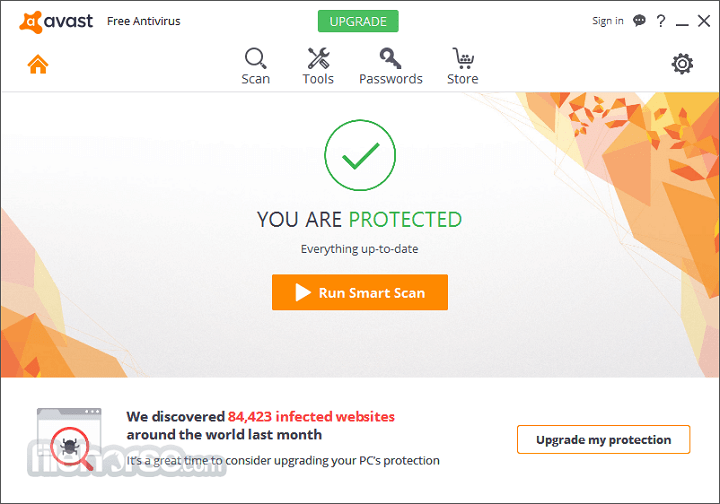 If you’re interested in a good and reliable antivirus solution, you can find Avast Free Antivirus here. 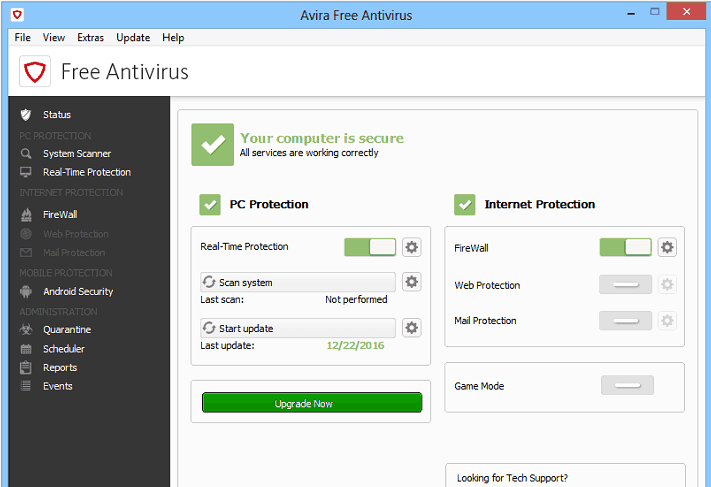 Avira emerged from a small alternative antivirus solution to a full treat for users that favor free antimalware tools. It’s simple to use and configure but packs valuable features in regards to anti-malware on-demand scans and real-time protection. It checks most of the boxes in those regards but excels in a variety of additional features you can download. With those, you can create your own anti-malware suit on multiple platforms and customize it by your own choice. Avira Connect – unifies and reorders all other tools and connected devices and helps you manage them. Avira Phantom VPN – free VPN service limited to 1GB. You’ll need to pay in order to stretch the mileage. A secure browser called Avira Scout based on Chromium. There’s more and you can easily find them once you install this nifty little antimalware tool. However, even though it does everything its supposed to do, Avira surely does take some time while scanning or updating. That can pose as an obstacle for some users, while others won’t be bothered whatsoever. You can compare these with the premium features of the paid versions and choose the plan that fits you best. – Get now Avira Antivirus Pro from the official website. ALSO READ: ScanGuard Antivirus: Here’s what you need to know about it. That should conclude this article. Hopefully, we shed some light on this subject and got you closer to your definitive choice. And it even doesn’t have to be ‘definitive’ since you can try all enlisted solutions for free. One at a time, of course. Once you’ve decided, feel free to tell us in the comments section below. We’ll be glad to hear from you.